The Voice is one of the more entertaining reality competition series on TV right now. What other show lets coaches block each other from getting someone onto a team? The Voice really has an interesting setup! 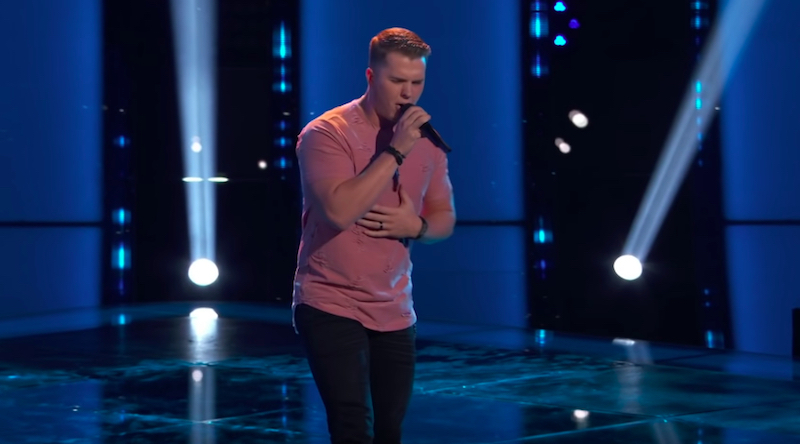 Gyth Ridgon’s audition on The Voice proved to be very interesting for two of the judges. For his audition, Gyth sang “Drift Away” by Uncle Kracker. It was a great song choice for him because it got the attention of Blake Shelton. 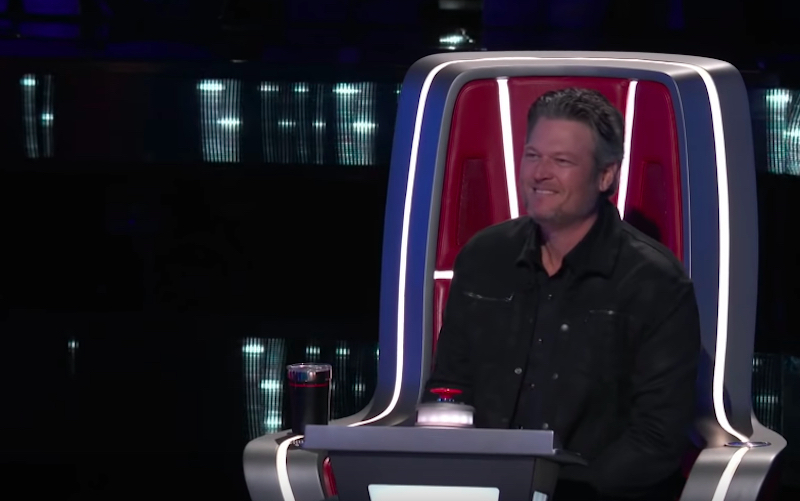 Less than 20 seconds into singing, Blake hit his button and turned his chair. 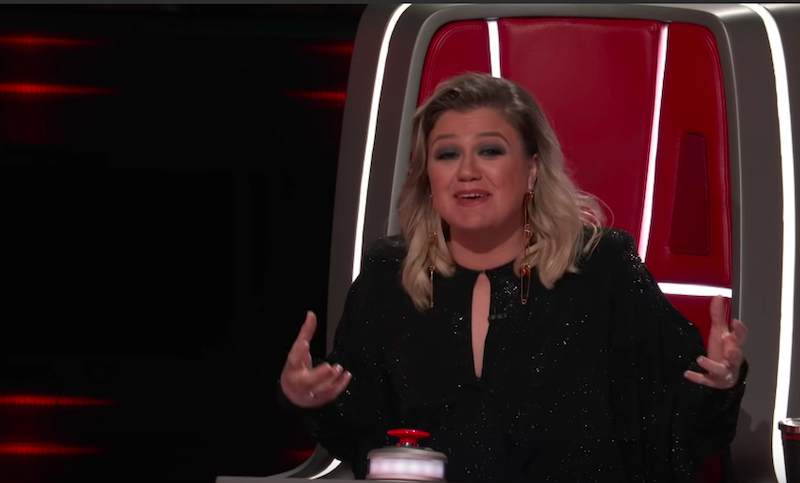 After a little more singing, both Kelly Clarkson and John Legend both turned their chairs as well. The two coaches were so busy listening to Gyth’s singing, they didn’t notice that John had been blocked! Blake had to point it out to Kelly so she would notice the giant “BLOCKED” light up on the floor. 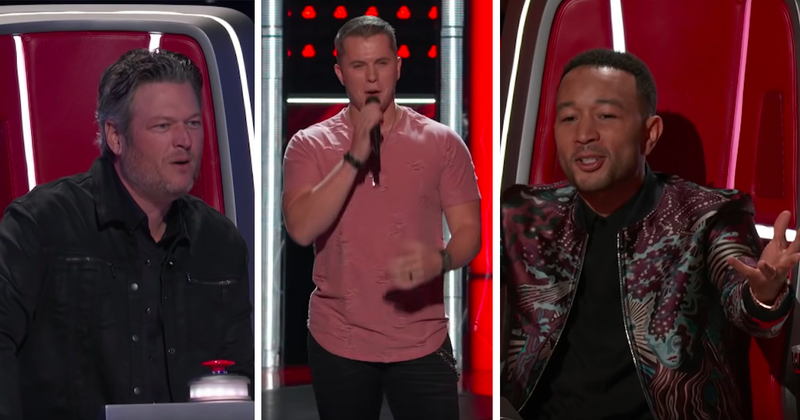 In season 14 of The Voice, a new addition to the format of the show was added, called “the block.” That means one judge gets the chance to block another from taking a contestant that they want. This doesn’t mean the coaches can block each other for every single singer that does a blind audition. Instead, they each get one block and they need to use that block wisely. When a coach really, really likes a singer and doesn’t want to compete with another coach, that is when they use this feature. John Legend is a good sport though and didn’t seem to mind too much that Blake decided to block him. He couldn’t help but laugh! 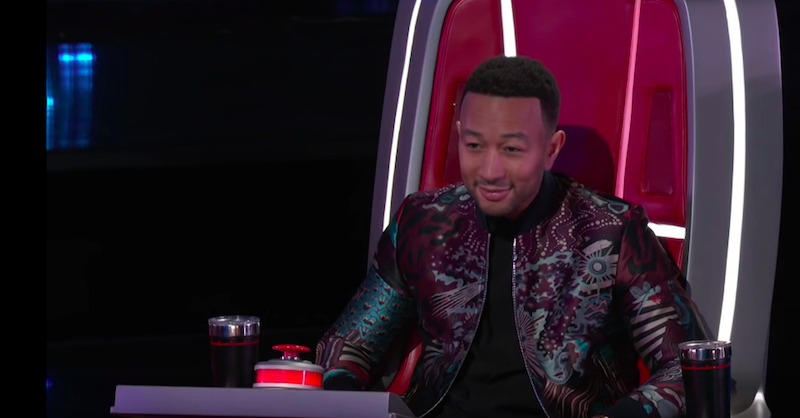 Adam Levine even joked about the fact it was John’s first season on The Voice and he was the first coach to get blocked of the season. John couldn’t believe he was the first one to get blocked, but that is how the game is played. Gyth told the coaches that he hit a high note for Adam Levine. But the country road wasn’t exactly for Adam, thankfully Blake was the one there to root for Gyth to be on his team. 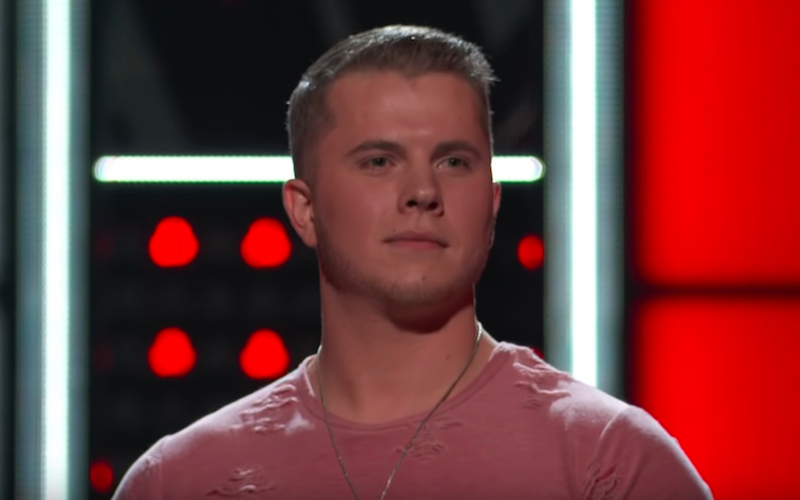 The Voice’s profile online for Gyth Rigdon gives us a little more insight into this singer’s background. Gyth is no stranger to hard work after growing up on his family’s racehorse farm. A typical morning started at 5 a.m., with feeding, washing and training 27 horses. Gyth found his musical calling at 15, when he joined the family campfire jam session. At 17, his father booked him a three-hour show at a biker bar – and he has been playing gigs there ever since. Gyth took his show on the road for a few years and came back a hometown hero after sharing the stage with artists such as Jake Owen and Gary Allen. Gyth hopes “The Voice” will help launch his music career to the next level. Season 16 of The Voice airs on NBC on Mondays and Tuesdays at 8/7c. You can catch the next episode on Monday, April 8, 2019.